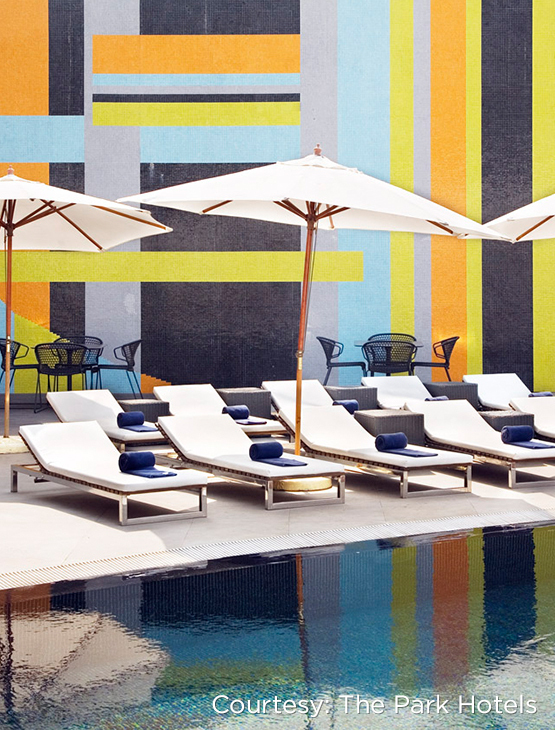 Tucked away amidst stunning hills and foliage, the hotel poses myriad opportunities to relax at the spa, gym and pool. Aqua is an al fresco diner by the pool serving Mediterranean food and barbeque. The high glass windowed West 1 serves power breakfasts, lunches and buffet dinners. 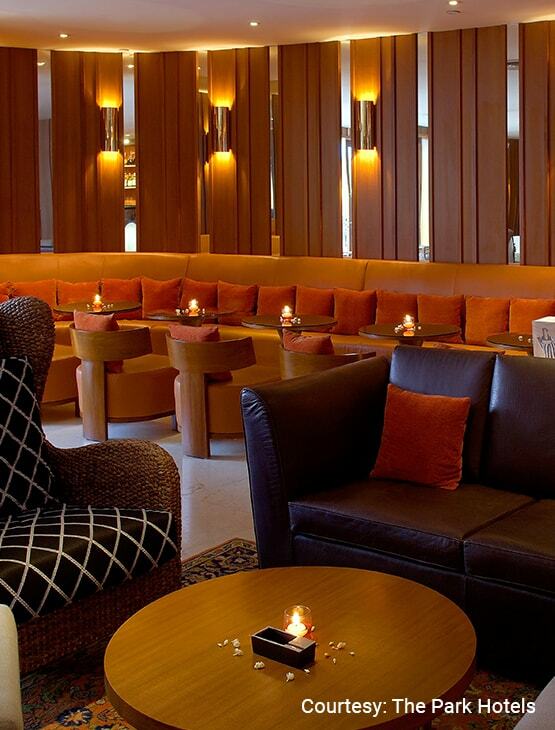 Smoke a cigar on a leather sofa while choosing from single malts, signature cocktails and vodkas at the lounge-Dusk. Preferred at The Park is where luxury begins! Preferred at The Park, the dining loyalty program of The Park Hotels offers exclusive benefits, privileges and attractive offers on dining and accommodation. 20% discount on the food bill when five to ten people dine. 20% discount on all alcoholic and non-alcoholic beverages on a table of up to ten persons at all outlets of The Park Hotels in India except Tantra, Roxy, Aqua, Zen and Someplace Else at The Park Kolkata. 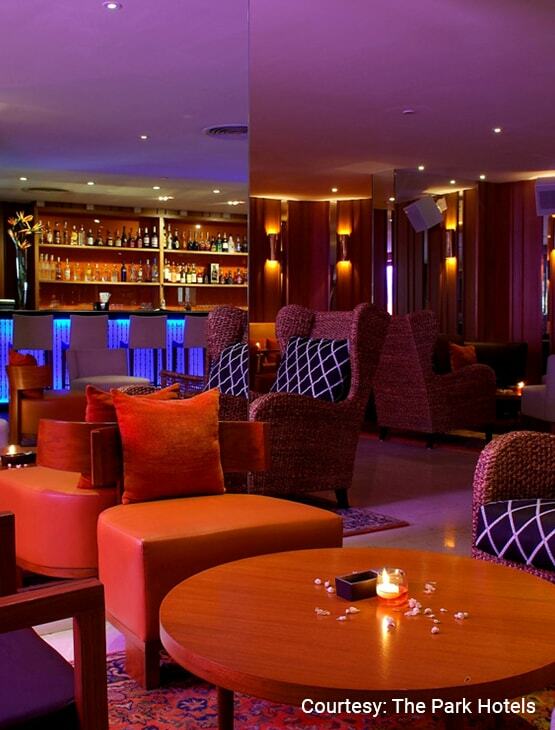 20% discount on Sunday Brunch at West-1 up to a table of 10 persons. 20% discount on food bill up to a table of 10 guests. This benefit is not valid on Food Promotions and Festivals. 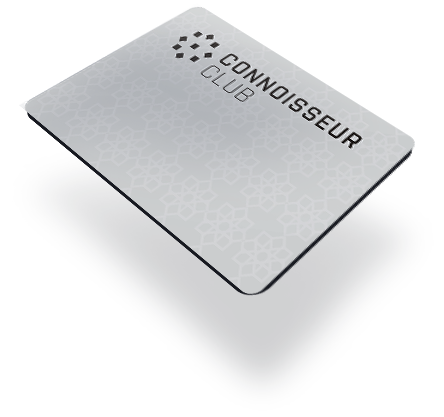 10% discount on Health Club Membership (new memberships only). 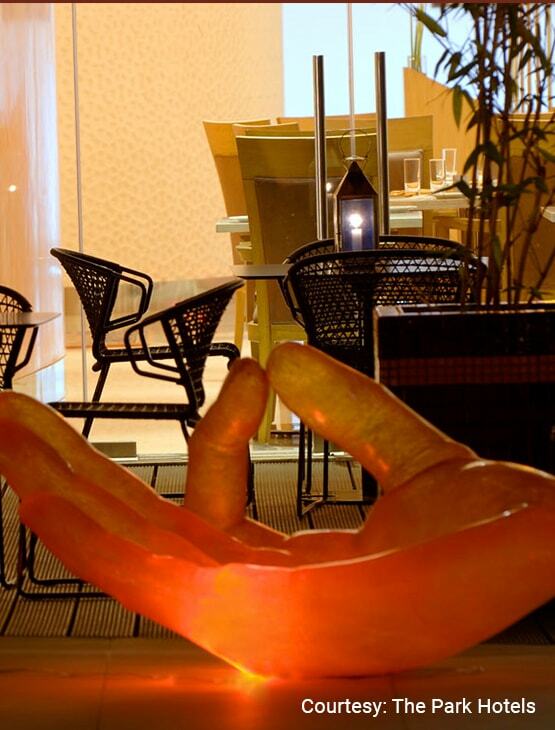 Pre–reserved seating at the restaurants, every evening till 8 pm. Monday, Wednesday, Friday are exclusive ‘Ladies night’: first drink complimentary from 6 pm to 11:30 pm. One (1) certificate entitling the Bearer to a complimentary buffet dinner for two (2) persons at West-1. Not valid on Friday. One (1) certificate entitling the Bearer to a Complimentary Cake (max. 1Kg), while dining at the Hotel. One (1) certificate entitling the Bearer to a complimentary celebration bottle of House Wine while dining at the Hotel. One (1) certificate entitling the Bearer to a 50% discount on the total food bill and a 20% discount on the beverage bill up to a table of maximum four (4) persons. This benefit is valid from Sunday to Thursday. 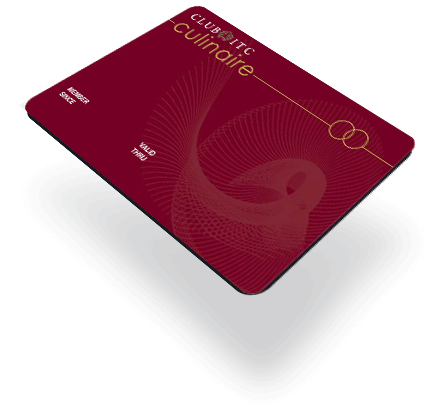 Three (3) certificates entitling the Bearer to a 30% discount on the total food bill and a 20% discount on the beverage bill on this benefit is valid up to a table of maximum six (6) persons. Not valid on Sunday Brunch. Three (3) certificates offering a 50% discount on the published room tariff (on room & breakfast basis).This benefit is valid for one night stay only over weekends. One (1) certificate entitling the Member to a complimentary night stay over weekends at the Hotel. Two (2) certificates entitling the Bearer to a ‘Complimentary Room Upgrade’ to the next category of room. This benefit is subject to availability at the time of check-in and is valid for a maximum of three nights only. Two (2) certificates entitling the member and one guest for a complimentary use of the swimming pool. This benefit is valid for a maximum of two hours from Monday to Saturday between 10 am to 6 pm. Twelve (12) certificates entitling the member to a 15% discount on use of the services of The Spa. This benefit is valid for a maximum of two hours, any day of the week between 10 am to 6 pm and is applicable for complimentary usage of the gymnasium and swimming pool on a complimentary basis. 15% discount on published room tariff at all Park Hotels in Bangalore, Chennai, Hyderabad, Kolkata, Navi Mumbai and Visakhapatnam. 30% discount on the published room tariff from May to September and a 15% discount from October to April at The Park New Delhi. 30% discount on the Best Availability Rate over a weekend defined as Friday, Saturday or Sunday. Rooms are subject to availability. 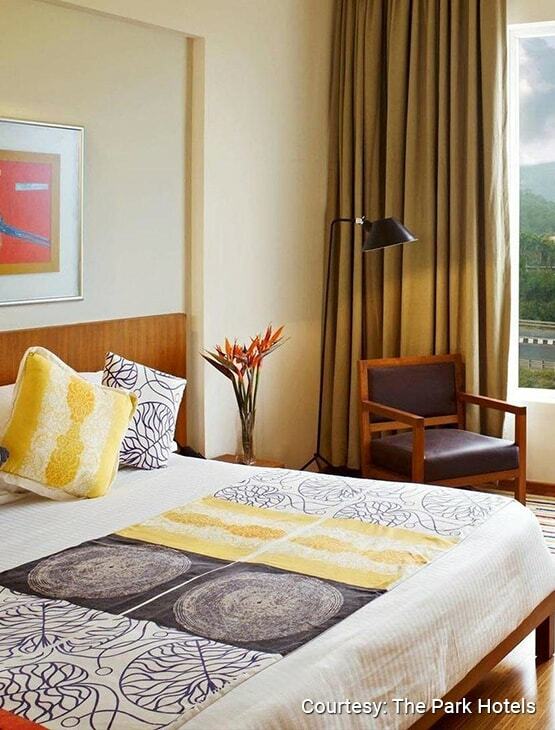 10% discount on three nights four days package at The Park Visakhapatnam. 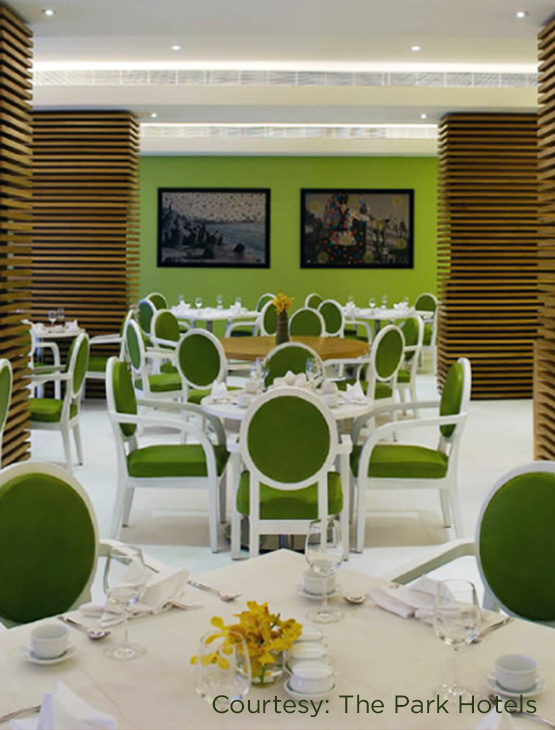 Up to a 30% discount on the food and beverage bill at The Park Kolkata. 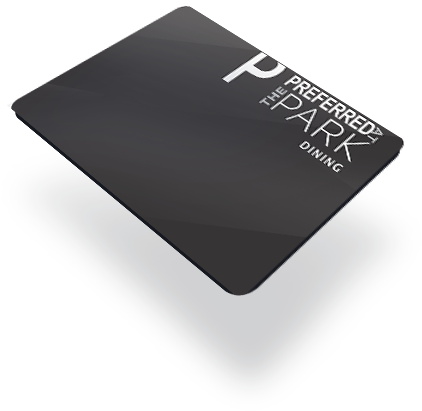 Preferred at The Park is a program that offers dining, accommodation and other privileges at participating hotels of The Park. 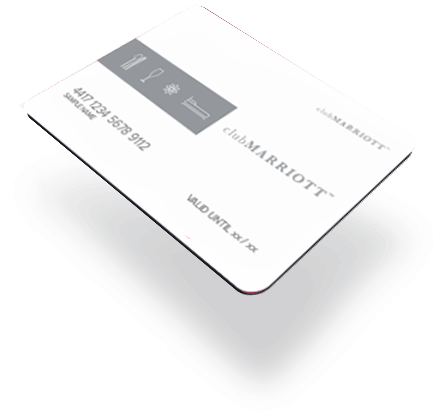 Should for any reason, the Preferred At The Park membership is discontinued, the Hotel shall have no liability, financial or otherwise to the Member. Preferred At The Park shall not be liable for any amount greater than the membership fee to any member as a result of his or her membership.